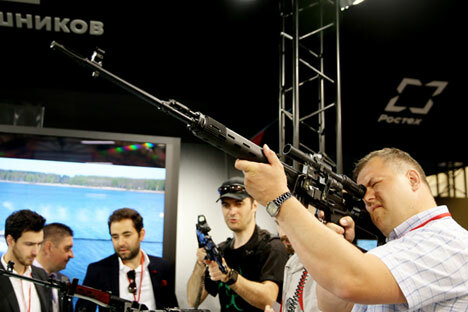 Russia’s arms manufacturing concern Kalashnikov (an affiliate of Rostec) will seek registration of its brand and trade marks in the United States and Europe for the protection of its rights in foreign markets, the company’s CEO, Aleksey Krivoruchko, told TASS in an interview. "We have been taking measures to protect our brand and our trademarks in all markets, including China, Europe and the United States. The concern’s brand and trademarks must belong to us, and not some companies that have nothing to do with our products," Krivoruchko said. According to earlier reports, Kalashnikov had its trade marks Kalashnikov and AK-74 registered in China. The corresponding certificates were issued by the Trademarks Office of the State Administration for Industry and Commerce of the People’s Republic of China in December 2016.